Pure Lava should now be renewable again. Some people have been reporting a crash caused by Darklings which may be caused by server wrappers, I can't recreate these crashes but I've added a catch to stop the crash. ============================================================ Lycanites Mobs Update: Parasite! - Version 1.14.3.3 for Minecraft 1.9.4 Configs older than 1.14.2.2 will be reset. 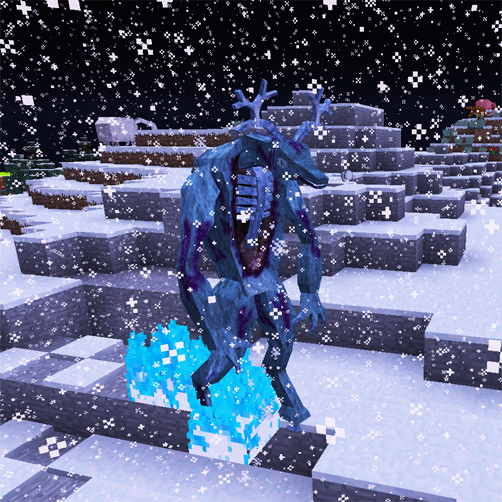 ============================================================ -------------------- New Features: -------------------- New Wendigo Model! -------------------- Minor Fixes: -------------------- Pure Lava should now be renewable again. Some people have been reporting a crash caused by Darklings which may be caused by server wrappers, I can't recreate these crashes but I've added a catch to stop the crash.